Philips axes Pronto remote control business | What Hi-Fi? The Dutch electronics giant had been looking for a buyer for the Pronto division, but failed to find one. In a statement, the company says: "In December 2009, Philips announced the intention to relocate some of its existing remote control activities in Leuven, Belgium to Asia. At the same time, the intention was communicated to investigate alternative strategic options for the Pronto business, as this activity no longer fits with the Philips strategy." "Following thorough research, no suitable partner was found for the acquisition of these activities. As such, Philips confirms today that it will discontinue the Pronto product line and related activities. "The Pronto business, headquartered in Leuven, Belgium, serves the Custom Audio-Video Installation market with advanced control devices. "Philips will engage in a dialogue with its social partners on the consequences for the involved personnel of this announcement." 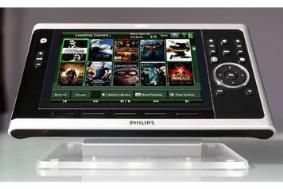 The announcement comes weeks after Philips launched its latest Pronto product, the TSW9500 in-wall touchscreen, at CEDIA Expo in Atlanta, as well as relaunching the website for the line. Philips says it will continue to offer support to existing users of Pronto products. But it seems as if the rise of iPhone/iPad control apps has killed the market for dedicated controllers.